Overall size: 27'2.5" X 13'2" X 28"
The Gill AGX M4 27'2.5" X 13'2" X 28" high jump pit is equipped with an edge-to-edge top pad design that prevents spike contact with the base unit and unevenness at the edge of the pit. This unique design increases the life of the pit and improves safety. 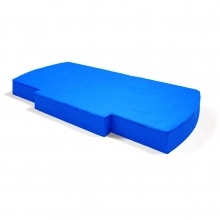 The top pad is reversible and is made with 2" duralife foam which is soft, comfortable and durable. V-Loop vinyl straps on the top pad evenly distribute the force of an athlete's landing and eliminates pad tearing. The AGX M4's base unit sections are reversible for maximum interchangeability and are made with quadruple duralife layer foam for safe landings. The Gill AGX M4's all vinyl base features a unique design that keeps water out of the pit and protects the foam from water. 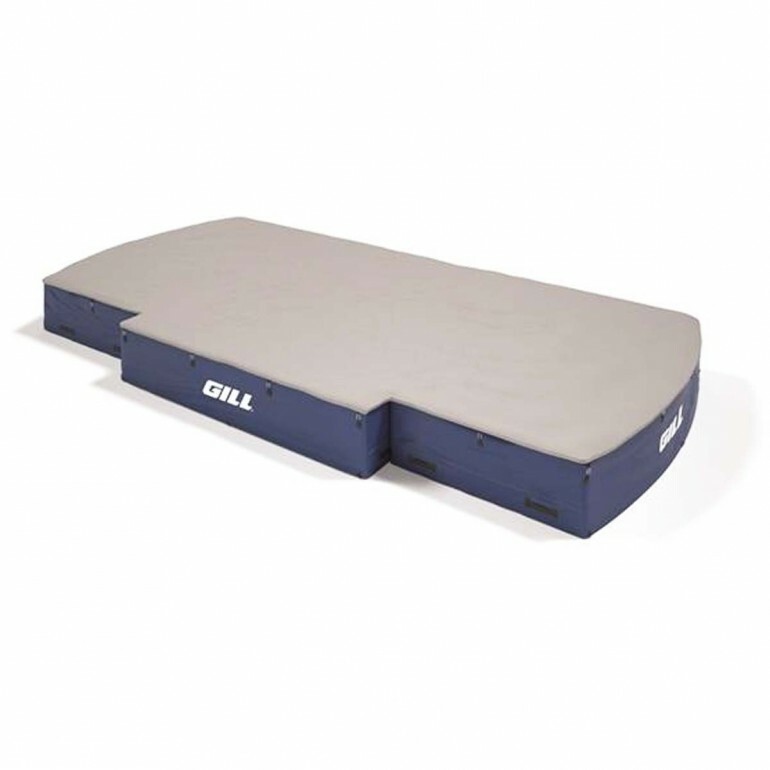 The Gill AGX M4 high jump pit is backed by a 12 year warranty. There are over 100 vinyl casing and top pad color combinations available with the AGX M4. 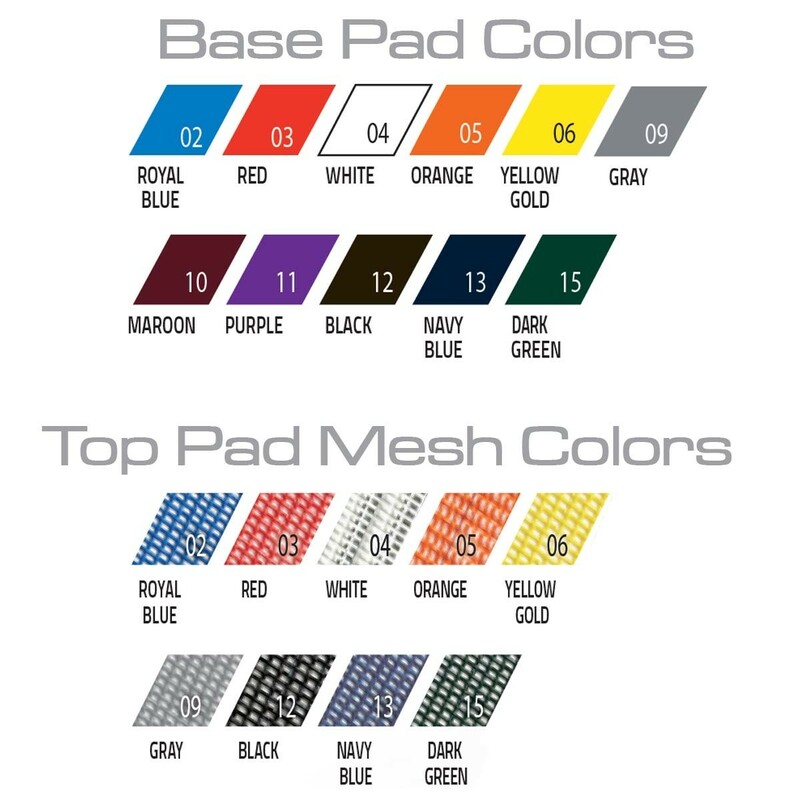 You can also add a custom multi-color logo on the top pad and weather cover (sold separately). Contact Anthem Sports for details. The AGX M4 high jump pit meets NFHS, NCAA, and IAAF specifications.